I decided to write this letter because I felt that in doing so I would not only be doing the right thing, but that I would also be providing a public service by using this as an opportunity to educate not only you, but others as well regarding an important matter. The matter I am referring to is the selfie you took at the Holocaust Memorial in Berlin. Let me start by saying that I personally believe you meant no harm by your actions nor do I believe you deserve too harsh of a reaction from the general public for what I feel was nothing more than a moment of poor judgment. One of the reasons I feel no anger towards you is because in order to make the mistake that you made, you had to be there in the first place. So in my eyes, there’s enough sensitivity in the fact that you bothered to be at the Holocaust Memorial to absolve you from the dumb thing you did while there. Your effort to learn about what happened, as evidenced by your visit to the Memorial needs to be acknowledged more than your mistake needs to be vilified. However, the proper acknowledgment is in the form of some additional education on the subject, and that is what I will do in a very brief and personal way in this letter. Danny, I am the son of Holocaust survivors from the Netherlands. I am by no means a moderate, so there are some who will be surprised that I am cutting you slack, but since I am also not a hypocrite, I feel it only fair that I express my feelings openly and honestly. Let me attempt to give you a perspective you may not have been able to gain from your visit in Berlin. As a child I grew up hearing about the Holocaust from my parents. My father lost both his parents, his youngest sister, countless friends and family and the majority of his neighborhood to the murderous Nazis. My mother lost her father and only sibling, a younger brother, her fiance, and most of her extended family and friends as well. My father spent close to 3 years on the run, at times imprisoned by the Nazis, often hungry and exhausted and usually alone. My mother worked in a Jewish hospital, saw patients taken by German soldiers to their death, and barely made it out of that hospital alive. When she did she spent close to 6 months moving from place to place, constantly in fear for her life, and then spent a year and a half in hiding, sleeping every night in a small, dark and damp underground room with no way to get out unless someone opened the hatch from the outside. My parents lived through a 5 year period no one should ever have to experience. But here is where I offer that perspective I can’t be sure you would have without someone sharing it with you. Compared to millions of others, my parents were the lucky ones. As I am sure you know, 6 millions Jews were murdered by Hitler’s Nazi Germany. Many were starved, tortured, raped, abused and dehumanized in every possible manner. There were those who survived who went through the same horrors, only to carry it with them for the rest of their lives. The evil was unspeakable and impossible for a normal person to comprehend. If you truly stop and think about this, and imagine the impact this had not only on those who survived but on an entire group of people, I am confident this will help increase your sensitivity in the future. If you want to learn more I invite you to read the book I wrote about my parents’ experiences during the Nazi occupation of Holland. 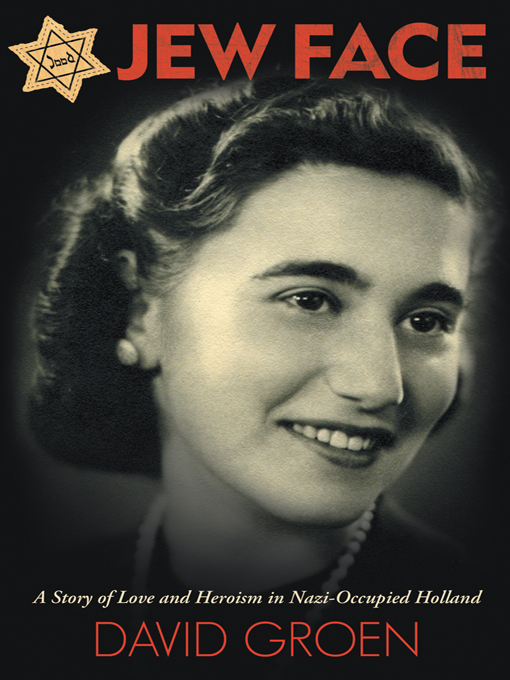 The book is called “Jew Face: A story of love and heroism in Nazi-occupied Holland” and can be found on Amazon. Danny, people like myself, the offspring of Holocaust survivors, did not all turn out the same way. Therefore I guarantee you that at least some, if not many, will not feel as accepting of what you did as I do. Part of your developed awareness will have to be tolerating their anger, because although I may not feel as they do, I do believe they would have every right to react differently that I have. But I want you to know that you now have an important opportunity to take a mistake and turn it into a positive. That all depends on what you do next. As far as that is concerned, I offer you no advice. That part you’ll have to figure out on your on. A Malaysian jet was shot down over the Ukraine. It was on its way from the Netherlands to Malaysia. 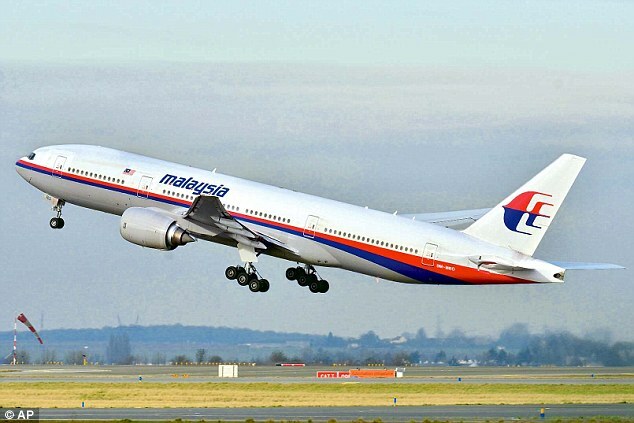 As of yet there is no indication whether or not this incident is at all connected to missing Malaysian flight 370, but the circumstances surrounding this latest mystery are still unclear. My mother is 92 years old, born and raised in Amsterdam, and a soccer (she only calls it football) fan. She has expressed a strong desire to see you win the World Cup. God willing she has many more World Cups left, but she is 92 and the window for this team is questionable. Find something extra guys and win it for her! 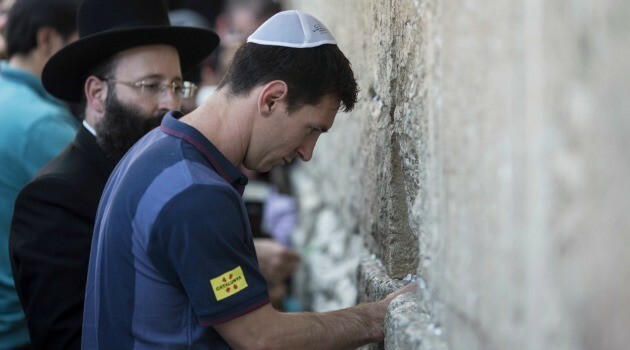 This article originally published by the Jewish Daily Forward http://forward.com/articles/181701/barcelona-soccer-star-lionel-messi-visits-western/ shows what a high-profile superstar looks like when his moral compass is facing in the right direction. Lionel Messi preaches peace and football. 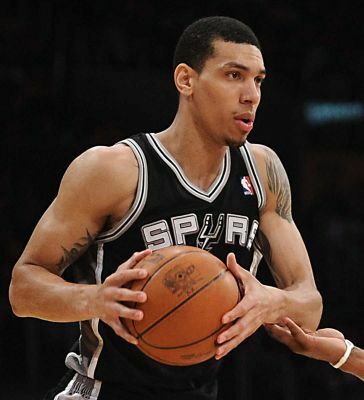 He is the sports version of Paul McCartney and someone to be looked up to. Let there be no question about that. In fact, I like him so much I won’t even mind if he wins the FIFA 2014 World Cup for his country Argentina. Unless they face the Netherlands again. Don’t look now but one week into the 2014 Winter Olympics in Sochi, Russia, Holland leads in the overall medal count. Lead by their usual elite performances in speed skating, the Dutch sit on top of the pack halfway through the games. Who knows how long it lasts, but for now I’m one of many proud of what the teams from the Netherlands has achieved to this point. Keep it up and good luck the rest of the way! As a child I always remember my parents speaking of what took place in Holland during the Nazi occupation. The term ‘Holocaust’ was rarely if ever used. Instead they would generally speak of it in terms of “40-45”, representing the years 1940 until 1945 when Nazi Germany occupied the Netherlands. I always knew I had lost family, specifically the parents and younger sister of my father and the father and younger brother of my mother. It was not until I was a bit older that the scope was understood to me, very possibly due to my parents shielding me from the reality at my young age. I always knew of the greatness of the Lubertus and Geeske te Kiefte. 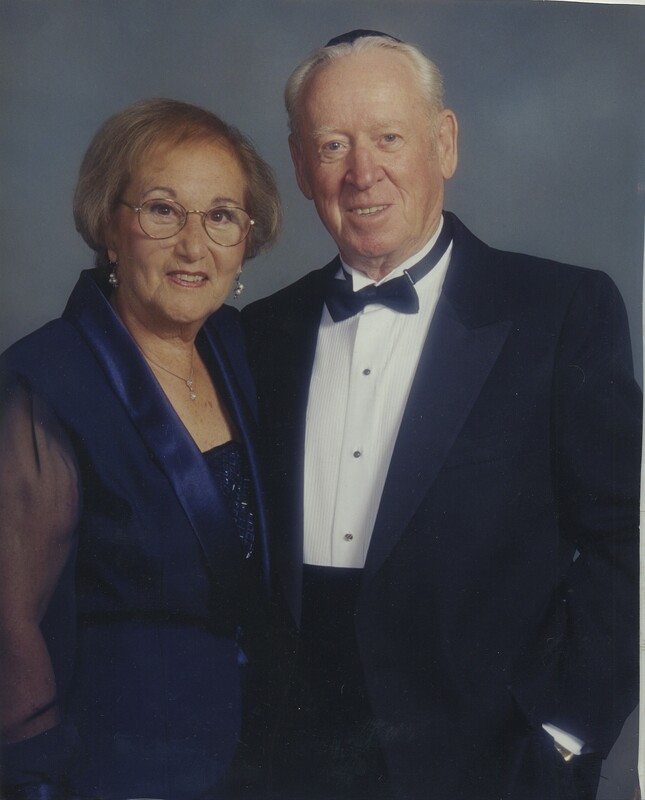 The people known to me from as far back as I can remember as Oom (Uncle) Bertus and Tante (Aunt) Geesje were the people who shielded my parents, specifically my mother, and gave her a welcome home at the risk of certain torture and death. They would always remain to me as family, as would their children and grandchildren. I always knew it was Germany. What history was then and what it became was something I did not begin to comprehend until my teen years. My first understanding of the contrast that existed was my awareness that Willie Brandt, who was German Chancellor from 1969-1974 was a “good German” who had not been part of the Nazi party. As an ignorant child it was all just numbers and random information to me. Of course it was sad. I never had the experience of knowing my grandparents and knew that the world my parents were born into had been destroyed. But the true scope was something that was next to impossible for a child to grasp. Then I grew up and realized it had very little to do with age. Soon after I finished writing the book “Jew Face” I was thinking about all that had taken place and my perception of the events of 40-45. As a New Yorker, I know what it means to live in a city with a strong Jewish influence, not unlike Amsterdam prior to 1940. I closed my eyes and tried to imagine most of my family gone and 75% of the Jews of New York wiped out. After 10 seconds I opened my eyes because it was too painful to continue. I had the option of opening my eyes and making it no longer a reality. This is what makes Holocaust survivors such as my mother and late father and so many others the tremendous heroes that they are. The very ability to go on with life in the face of such awful memories without the option of opening their eyes and making it go away. It never did go away, yet they continued to live with the pain, often turning it into new worlds filled with joy and happiness. We owe a debt of gratitude to all these heroes that we can best repay by always remembering and fighting to make sure it never happens again. May God bless them all forever.